Madalit Lamazares was born in Havana, Cuba, where she started her musical education. She later moved to Venezuela and obtained a Diploma as Piano Performer at the Juan Manuel Olivares Conservatory in Caracas. At the same time she took courses at the Andrés Bello Catholic University in that city graduating in Letters. Her activity as soloist and accompany pianist started in Venezuela where she gave recitals throughout the country as well as abroad as cultural representative of Venezuela. She has also participated in recitals sponsored by the Organization of American States (OEA) and the U.S. Smithsonian Institute. She has recorded several times with representative personalities of Latin-American vocal arts. Madalit Lamazares started her activities as Professor of Repertoire at the Workshop Opera in Caracas. 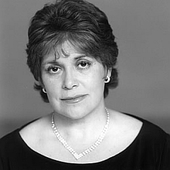 In 1985 was engaged by the Teresa Carreño Theater as Piano Preparatory Teacher during the opera seasons, an activity she carried out until 1996. During that period she also participated in the preparation of the Opera season of the Atheneum in Caracas, the National Opera Company and the Baroque Camerata also in Caracas.